Starting today, Waste-Less Wednesday is getting a bit of a change up. In addition to tips and recipes for reducing food waste at home, you’ll be seeing the occasional news roundup of food waste topics, near and far. While I think about food waste at a micro level — i.e., my kitchen and local food system — recent conversations with friends have reminded me to look beyond the 650. Conversations about food waste are now happening with more frequency at the national and international levels, thanks to chefs, writers, and food activists. We’re learning more about the impact of food waste on hunger, loss of resources, and climate change — and how all of us can be a part of the food waste solution. Here’s a roundup of what you might have missed recently. 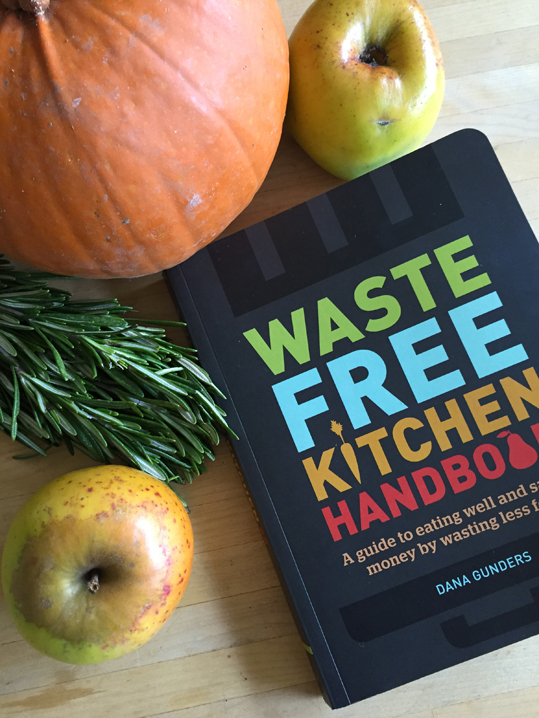 As a scientist, Gunders wanted to understand what consumers needed to know to reduce food waste. Specifically, what did they need to know about buying, storing, and cooking food, including food that seems ready for the compost pile? 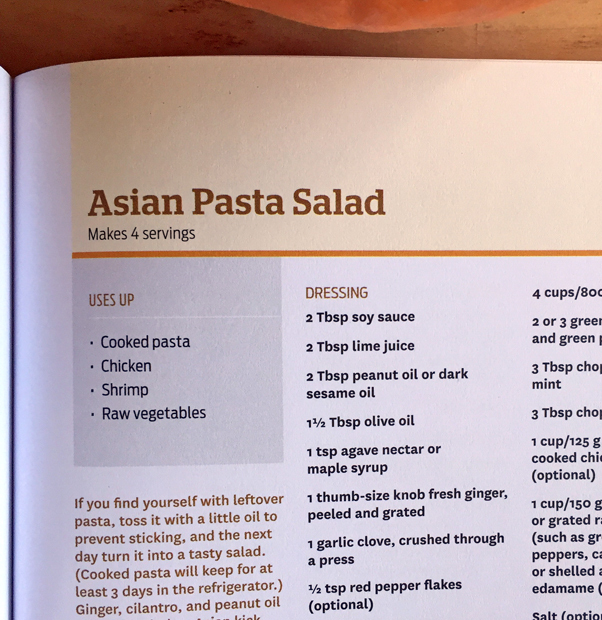 For example: “When you’re standing in your kitchen with a wrinkled tomato, what do you need to know in order not to waste it?” In addition to practical information, the book also contains what Gunders calls “use-it-up recipes” for ingredients on the brink (or maybe just a little bit past). Get the whole story in just 2 Minutes. 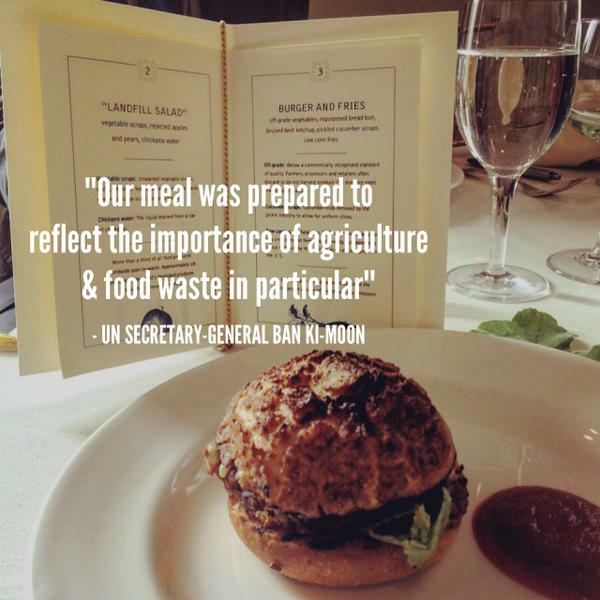 Food waste doesn’t occur just on the farm or in the food-manufacturing plants. According to a recent NPR article, almost half of the US seafood supply ends up wasted. While seafood waste happens throughout the system — from boat to processor to consumer — “consumers are far and away wasting more seafood than any other group,” tossing out 1.3 billion pounds of seafood annually. Some of this seafood is purchased and never eaten, and some is “plate waste” that ends up in pet food bowls or the garbage. 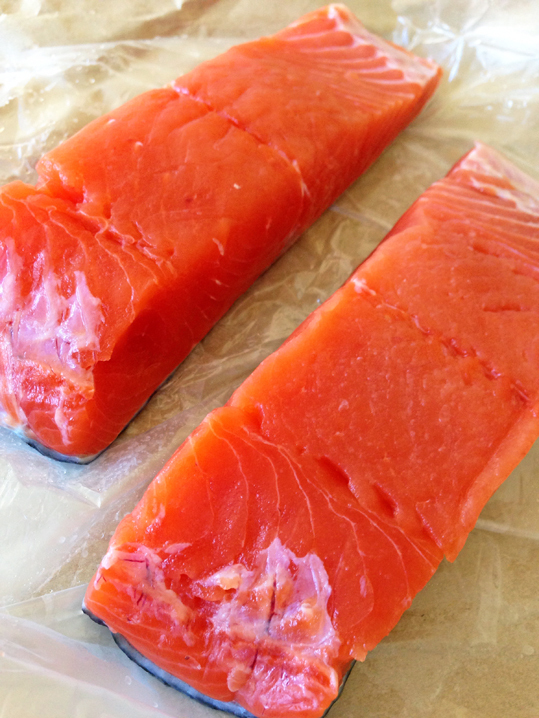 Consumers aren’t solely to blame for seafood waste. Processing plants discard the “less desirable” parts of fish (think: fish heads) in favor of supermarket-perfect pieces. Commercial fisheries contribute to waste as well, through bycatch. Bycatch are the unwanted fish and other marine life that are caught in addition to the target species. Efforts are being made in the industry to reduce bycatch, but it’s still a problem. Want more detail? Check out the Office of the Chief Economist’s web page on food waste. What’s your food waste story? Share in the comments below. The film intersperses the couples’ experiences in acquiring food with eye-opening details direct from farmers and food-waste educators about how and where food waste occurs all along the food supply chain. Most staggering fact? 40% of all food, from farm to factory to table is wasted — left in the field, considered unsaleable by grocery stores, and just plain thrown in the garbage. Cameron Anderson, Harvest Manager for grower Pacific International says in the film that 20-30% of food grown is left in the field. Why? It’s a two-part issue: supermarket specifications for produce and customer expectations about appearance. Just Eat It – Field Waste – Cauliflower (Deleted Scene) from Grant Baldwin on Vimeo. Supermarkets refuse otherwise perfectly fresh and edible produce because it doesn’t meet specifications for size or beauty. And customers support this approach by seeking out the perfect produce. How many times have you passed by bruised apples or weird-looking squash? (Confession: I’ve done it.) Even farmers’ markets, generally known as a good source of fresh and local food, aren’t immune. In the film, one market supplier points out a lone bunch of greens at his stand, saying that it won’t sell because customers think there’s something wrong with it if there’s only one left. In terms of what we buy and take home, Dana Gunders, Project Scientist for the Natural Resources Defense Council (NRDC), says that 15-25% goes to waste. (I first heard these statistics from Dana during CUESA’s “Beyond the Green Bin” panel talk last year.) Putting that in practical terms, she says it’s like “buying four bags of groceries, dropping one in the parking lot, and leaving it there.” How does it happen? We over-estimate what we need, don’t use food before it spoils, throw away packaged or canned food because we’re not clear about what “best by” dates really mean, and so on. Putting a dollar value on it, $165 billion worth of food is lost or thrown away annually in the US. And yet, approximately 17% of all Americans struggle with food insecurity, which means that at some point during the year, about 54 million people lack a reliable source of food. (Bringing it home, food insecurity in San Mateo county is close to 12% of our population.) At a macro level, we need a way to transfer that $165 billion of unnecessary food waste to those who lack a steady source of nourishment. 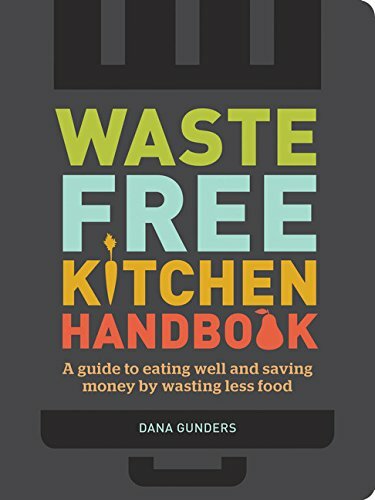 Wasted food is a waste of resources, which, when you think about it translates to even more dollars lost: the labor, water, and supplies that go into producing that food. Given our worsening drought conditions here in California, wasting food will have an even higher cost. So while I’ve posted about ways to reduce food waste on the back end — using, salvaging, or preserving what you already have — let’s talk about ways to get ahead of food waste on the front end, before you’re making that “toss or keep” decision. 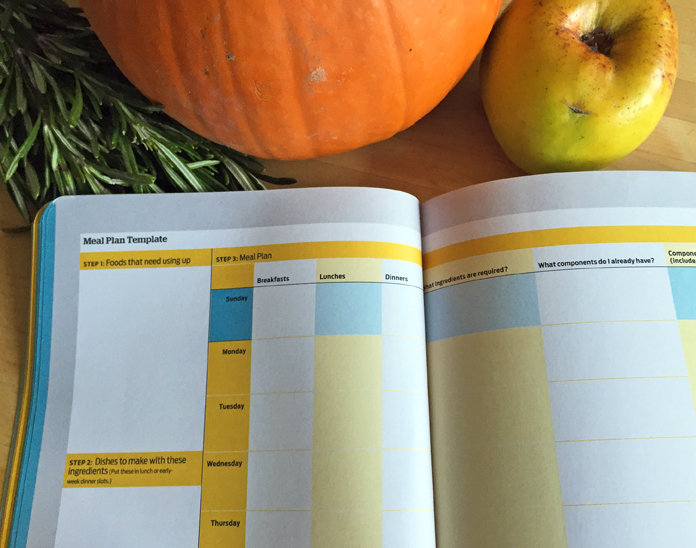 Planning ahead will also leave you some leeway for those unexpected dinners out or nights when you’re just too tired or overwhelmed to cook and pizza is on speed dial. Which leads me to why it’s a good idea to shop “European-style”: buy smaller quantities and shop more often. Time is a limited resource, so many of us try to consolidate a week’s worth of food shopping into one trip. Believe me, I get it. However, what that means is we’re often overbuying and unable to use produce (some of which has a very short shelf life) before it starts to fade. If you’re wasting food because you’re trying to save time, and that wasted food has a cost beyond what you paid for it at the grocery store, what are you really saving? Consider purchasing enough food for about a few days at a time and commit to using it up before shopping again. Your food will be fresher, and you’ll use more of it. Maybe you visit the grocery store once a week for proteins and packaged goods and the farmers’ market on the weekends for produce. Find something that works for your schedule and lifestyle. Don’t have time to get out? Sign up for a CSA delivery (or choose one that drops off at a central point in your neighborhood) or a broader delivery service like Good Eggs. Make a list of perishable items to use first and keep it on your refrigerator. For example, delicate herbs, salad greens and tomatoes have short shelf lives and should probably at the top of your “use first” list. 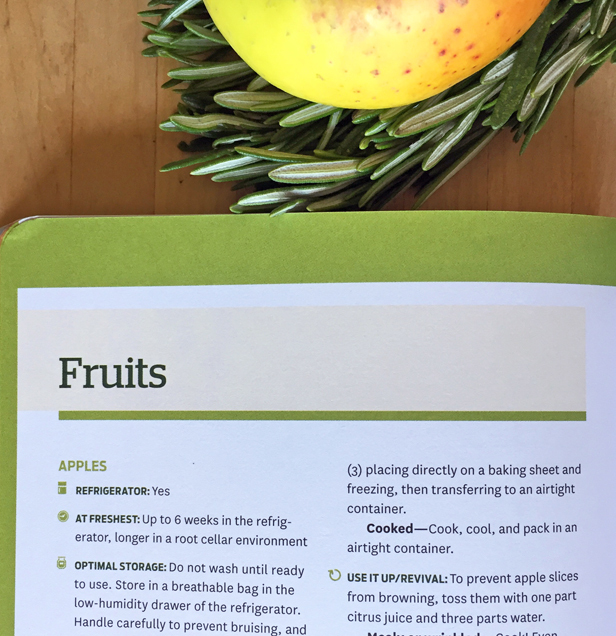 You can also use this list as a place to jot ideas for recipes you want to make and ways to use up certain produce items. Dining out and takeout/delivery contributes to food waste in a couple of ways. As I mentioned above, it’s often the reason we don’t get through all of the fresh food purchased from the grocery store or market. But restaurants are also giving us large portion sizes — often more than most people can eat in one sitting. Consider taking home whatever you don’t eat during the meal. More often than not, I can get at least one more meal out of restaurant leftovers, sometimes two. 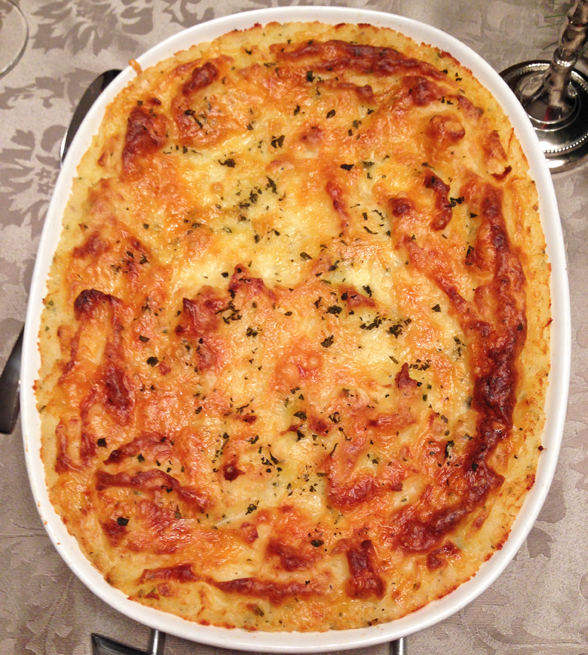 Or you can use the restaurant leftovers to create a new meal using what you have at home. Case in point: I recently ordered vegetable biryani (rice dish) from my favorite Indian place. Talk about value for money — I had enough biryani for three days’ worth of meals! Indian cooking is not in my skillset, but with the biryani as the foundation, I added my own steamed vegetables and protein to create some deliciously spicy dishes and saved myself some cooking time. Food waste is not an insurmountable problem and changing how we shop for, store, and cook food can make a huge difference. How are you working to reduce food waste on the front end? Do you shop “Euro style”? 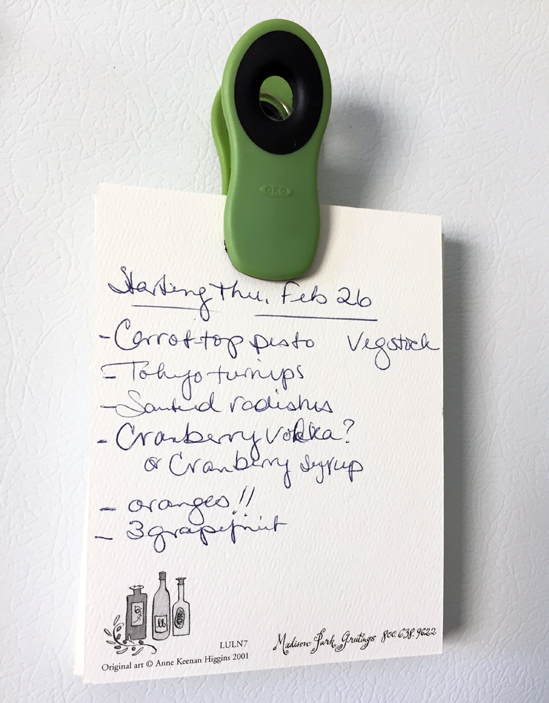 Designate a place in the fridge for “use first” items? Share your ideas in the comments or on our Facebook page! You are currently browsing entries tagged with Dana Gunders at 650Food.